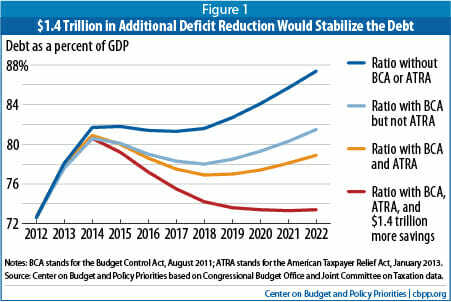 Drum uses this chart to hammer home the point that the current deficit is Bush's, rather than Obama's fault. I have absolutely no problem with blaming Bush for all variety of stupid spending and handing him a share of the blame for the Federal debt. Even using this bad chart (more in a moment), I think Obama gets a lot of the blame, though. The highlighted bars don't really substantially move the debt until 2009 and after, on Obama's watch. His complete lack of any effort to take on the rising debt, to pare back past spending programs (or wars, or whatever) has been unparalleled. In fact, I think it is his absolute indifference to deficit spending and the debt levels that saddles him with a lot of the blame. Anyway, back to the chart. Notice that these are just a few of the many components of Federal spending, all of which are increasing in this period. Picking out which ones "caused the debt" is not a neutral procedure. Money is fungible. One could just as easily substitute rising Medicare and Social Security costs (or education funding or transportation funding or government employee salaries) for any of the bars above and be just as correct. Even if one wanted to just look at Bush actions, one would reasonably need to include the debt associated with the costs of Medicare part D, something left off this chart presumably because Drum supports that particular spending. All this chart does is demonstrate the biases or preferences of the author, showing us which categories of spending the author most opposes (or which the author feels Obama can't be blamed for, like the down economy). 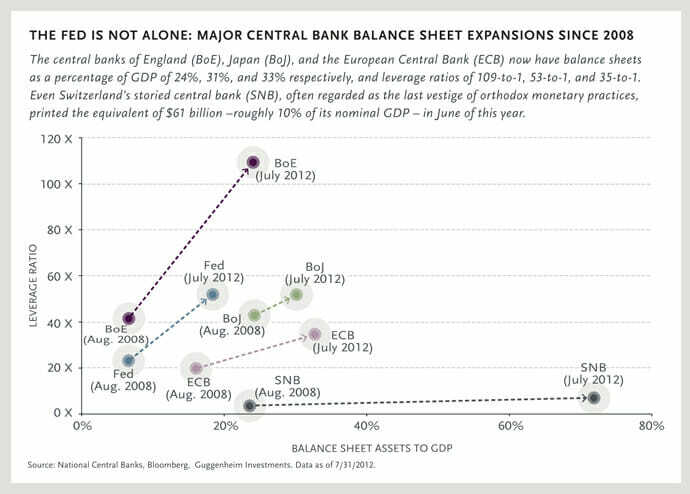 By the way, the chart's construction actually worse than this, because the chart is only "public debt" rather than total debt (for example debt bought in QE is no longer public debt). If one looks at public debt, the total number should have crossed 100% some time in the last year, rather than the 70% or so in the chart. So there are a lot of other things, presumably that the author likes, that are also causing total debt to rise. 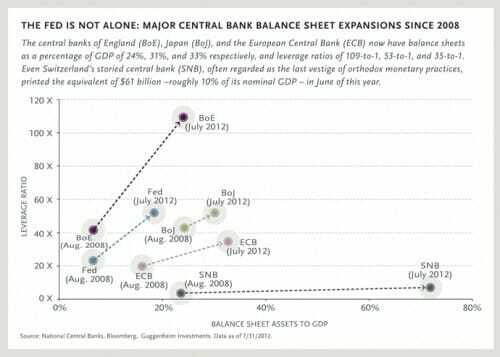 But these are hidden, because presumably the Fed only buys debt created by the good spending, and the public buys all the debt created by the bad spending. Finally, my suspicion is that some of these numbers are just plain wrong. 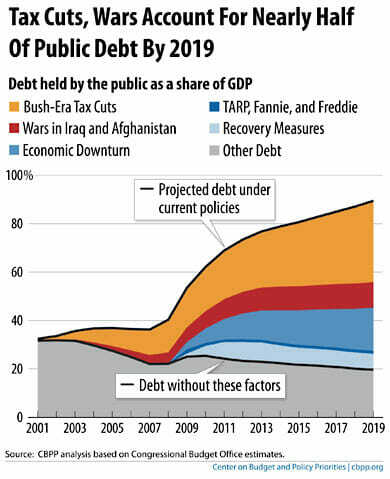 The chart implies Fannie, Freddie, and Tarp are only going to cause a total of 1% of GDP in debt, or about $160 billion. That is WAY below the loss numbers that Fannie and Freddie have already acknowledged, with more to come.